A lightbox is a popup overlay that expands to full screen. Here's an example - click the play button in the middle of the video to see what I mean. When done, click the X or click anywhere outside the video to close it and come back here. The trick is not to use a Video block, but instead to use a Gallery, just with 1 item only in the Gallery. Set the controls as shown. In your page, hover over the place where you want to put your video and when you see an insert point, click to open the content block chooser. Insert a Gallery Block, set to Grid display. 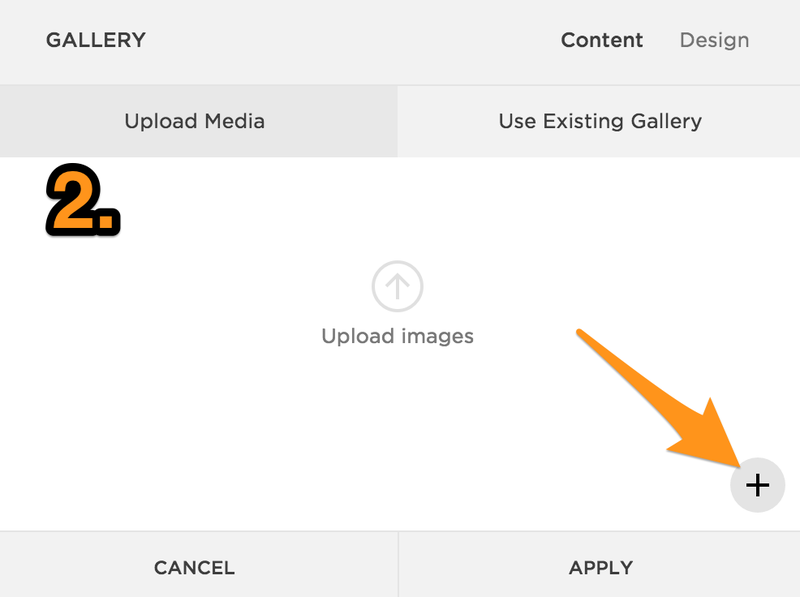 Use the + symbol to add content to the Gallery. This will open a selection window that allows you to choose video. TIP: you might have to scroll down a bit to see the + button in the bottom right of the window. Choose Video, then in the resulting window, paste the URL of the Vimeo or YouTube video into the correct space. Click Save. The video details window will close, taking you back to the main Gallery window. Click Apply to set the design, and then Save your changes in your page.